At Tummelson Bryan & Knox, LLP, we are a longstanding member of the legal community in Champaign-Urbana and throughout East Central Illinois. Our firm has provided countless individuals and businesses with lasting results in a wide range of practice areas, including estate planning, probate and trust administration, guardianship law, real estate law, business law, personal injury, and workers' compensation. Our knowledgeable attorneys have decades of experience and collaborate together to help achieve meaningful legal solutions for our clients. Contact us by calling 217-367-2500 to schedule an appointment to discuss your questions and concerns. At Tummelson Bryan & Knox, LLP, our firm is comprised of a team of knowledgeable attorneys who have many decades of experience providing clients in East Central Illinois with meaningful legal services. Our practice areas include estate planning, probate, real estate law, guardianship law, business law, personal injury law and workers' compensation law. Our attorneys are dedicated to providing clients with individualized attention in order to secure the best possible solutions for their situation. Through collaboration and hard work, our attorneys have earned the admiration and loyalty of clients. We receive a great deal of our business by way of referral. Attorney Robert E. Jacobson, formerly of Flynn, Palmer, Tague & Jacobson has joined the firm of Tummelson Bryan & Knox, LLP, as a Partner. Jacobson is a graduate of the University of Illinois College of Law. He concentrates his practice in the areas of family law, real estate, estate planning and business law. Jacobson joins existing partners, George G. Bryan (of Counsel), E. Phillips Knox, Helen F. Grandone, Brian T. Schurter, Stephen J. LeSueur, and Deborah Frank Feinen at the Urbana based Law Firm. Stephen J. (Steve) LeSueur has been engaged in the general practice of law in Champaign County and the surrounding area for over 35 years. He has a broad range of experience representing clients in a wide variety of matters. For many years his practice has been concentrated in the areas of Real Estate, Estate Planning and Probate Law, but he also has extensive experience in Family Law and Commercial Litigation. He enjoys working with his clients and makes an effort to fully explain all appropriate options so they are comfortable with the process and can make the best possible decisions. His focus has always been to maximize outcomes for clients by providing effective legal representation at a reasonable cost. Steve is a long time member of Champaign West Rotary and has regularly provided pro bono representation of indigent clients through the Land of Lincoln Legal Aid Referral Service. He is married and has two children. His interests outside of the office include tennis, skiing and swimming. Deb has been a resident of Champaign County for more than 45 years. She is married to Chuck Feinen and has two children Karlee and Catherine. In addition to her legal practice and family life, Deb enjoys being involved in local politics and is currently serving as Mayor of the City of Champaign. Previously, she served for 9 years on the City Council and prior to that was a 14 year member of the Champaign County Board, serving four years as its Vice Chairman. She also serves as a Commisssioner for the Regional Planning Commission. Deb has served on various boards in the community, including Montessori School of Champaign-Urbana, Amasong and as a liaison to the Developmental Disabilities Board. In her free time Deb is an amateur photographer, runner, & horseback rider. Brian helps clients with civil litigation needs in the areas of Plaintiff Personal Injury, Worker’s compensation and business disputes. He has collected millions of dollars in compensation for his injured clients. In addition, he helps clients with estate planning and real estate issues. He also represents a number of municipal entities. Brian joined the firm in May, 2006 after beginning his career in Toledo Ohio at a firm focused on representing injured people and then running his own office for eight years. Brian is married to Christine and they have two boys. Brian enjoyed coaching his sons for many years but now just throws batting practice. He is actively involved in numerous civic and educational organizations serving in leadership roles. Any remaining time is usually spent cooking, cheering on the St. Louis Cardinals or planning his next trip to the Boundary Waters Canoe Area Wilderness in Northern Minnesota. Brian also assists clients at our second location at 425 E. Champaign Ave., in Rantoul. Illinois, 1996, Ohio, 1997, U.S. District Court Central District of Illinois, U.S.
Helen F. Grandone has over 20 years of experience serving clients in Champaign County in the areas of Estate Planning, Probate and Trust Administration, Real Estate and issues facing the older client. She enjoys working with clients to familiarize them with these areas of law so that clients can make decisions that meet the needs of their specific circumstances. As a resident of this community for over 40 years, Helen has served on various community boards and volunteered with many social service agencies. She is married and has two adult children. 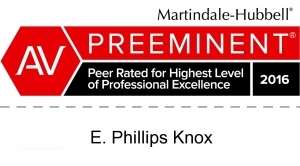 E. Phillips “Phil” Knox has over 40 years of experience as a lawyer in Champaign County concentrating in Estate Planning, and Probate and Trust Administration. He has been actively involved in civic and community affairs having served on the Boards of the Community Foundation of East Central Illinois, the University of Illinois Library Friends, the Champaign County Chamber of Commerce, the Urbana Free Library Foundation, Clark-Lindsey Village, and The Carle Foundation, among others. Phil’s clients have expressed appreciation for his ability to explain often complex legal documents and concepts in understandable terms. Phil is married and has two adult children. © 2016 Tummelson Bryan & Knox, LLP | All Rights Reserved.